Mobile devices account for more than half of all internet traffic. The shift by consumers to using their mobile devices can’t be denied, what with 62 percent of smartphone owners using their gadgets to shop. 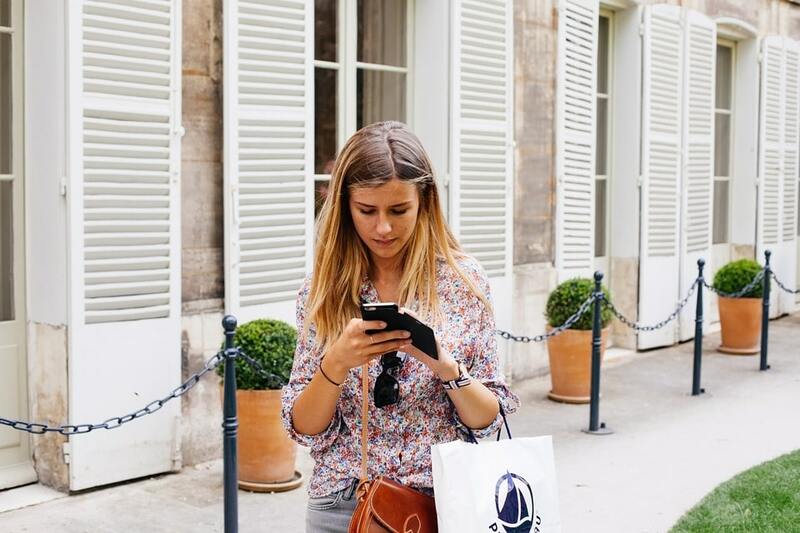 But why should mobile commerce really matter in 2019? According to Statista, ecommerce sales from mobile in 2017 accounted for 34.5 percent of the overall sales figure, and this statistic is increasing. By 2021, 54 percent of the total ecommerce sales are expected to come from mobile. It is no surprise then that most websites and online stores today are getting more mobile-responsive, and accessible via these devices. This doesn’t necessarily mean your business is mobile-ready. You could still be missing out on huge sales, as only about 12 percent of consumers find mobile shopping convenient. Mcommerce growth will continue being driven by frictionless and ‘shoppable’ creative mobile shopping experiences in 2019. This is because shoppers always want immediacy and a seamless and great mobile experience. Consequently, several trends and changes are expected by brands in the mcommerce space going forward. Here are the top mcommerce trends likely to rule in 2019. With smartphone users already used to getting personalized experiences while on their mobile devices, they expect a similar experience from your online store. A research report by Accenture revealed that companies that personalize mobile experiences are preferred by about 43 percent of consumers. Therefore, brands will have to invest in smart personalization in their mcommerce strategies to ensure consumers enjoy more personalized experiences. These include personalized product offers and recommendations, promotions, and much more. A good place to start is by analyzing their demographics, previous searches, type of mobile devices they use, and other personal data you may find. Personalized experiences increase customer satisfaction ratings, while boosting sales conversions and customer loyalty. A study by Harvard Business Review revealed that only 7 percent of more than 45,000 shoppers were online-only shoppers. 73 percent of the shoppers use multiple channels. This is the Omni-channel mcommerce experience, and it is one of the best techniques for guaranteed growth in 2019. Modern shoppers are looking for seamless experiences across the board – whether its time zones, location, or their reasons for shopping – everything has to be consistent, even branding. Having mobile devices makes it even tougher, because they expect instant gratification. More data shows that 89 percent of customer retention is experienced by companies with strong Omni-channel customer engagement. Omni-channel experiences are a great way of providing seamless experiences across multiple devices as the purchase journey tends to begin from a PC then to a smartphone. Make sure your store is optimized for all devices, with consistent branding across platforms, and personalized content on all channels. The checkout process can make or break your sales and revenue. If the rate of cart abandonment on your store is high, make sure you streamline the checkout process. This is because most smartphone or mobile device shoppers tend to engage in impulse buying a lot while using their devices, sometimes for fun. To target such users, you need to offer a simple, safe, and seamless checkout process – usually one-click – as this will attract them to your store. Sometimes their attention span gets in the way, so they don’t spend enough time to complete and finalize on their orders. Having a seamless checkout process ensures your cart abandonment rates decrease, and sales conversions increase. Most websites today, not just ecommerce stores, have chatbots or online automated customer support services. Recent studies show that by 2020, a whopping 85 percent of all interactions with customers will be handled without human interventions. You need to remember this as you plan your mcommerce strategy in 2019 so as to offer better customer care. Similarly, the speed of your site is important besides automating customer service for mobile device users to be satisfied. Chatbots are one of the main and integral tools being used by most websites for customer support in 2019. Chatbot technology operates using natural language processing to offer conversational experiences between your brand and consumers. It eliminates all the extra steps customers go through to get to customer support departments, as more consumers prefer chatting services rather than making calls or sending emails. They also offer round-the-clock services, and with artificial intelligence (AI), you can gather more data on your customers and use for analysis. Chatbots are also able to predict customers’ next questions and prepare responses, while offering personalized experiences based on their preferences. Some years back, AR may have sounded lofty, and futuristic. Today, however, it is real and brands are embracing AR to attract consumers, more so in mcommerce and mobile marketing. Through innovative mobile app development, companies can get a slice of this market, and display their products in familiar locations for their consumers. AR-capable apps allow your customers to virtually try out and interact with your products to see how they look, work, and what else they can do with them. It works best for mobile devices, which is why it is a huge trend likely to rule in 2019, so businesses need to prepare to use it so as to stay ahead of the pack. The opportunities for its use in your mcommerce business are unlimited. Not everyone has quite understood how cryptocurrencies work, but brands and consumers alike are slowly getting to know what it can do for them. In 2019, cryptocurrencies, which have dominated online conversations and debates in recent times, has metamorphosed into a payment method that cannot be ignored. Multiple cryptocurrencies are available today that are acceptable for online or offline businesses. For regular mobile shoppers who use cryptocurrencies will want to find these payment methods on your store, like Bitcoin and others. They not only make for faster completion of online transactions, but they’re also the future of payments and will attract new customers, while building loyalty. Mobile users want pages to load almost instantaneously the moment they visit your store. It’s either that or they move to the next best site. Slow websites will struggle with low customer satisfaction rates, high bounce rates, and poor sales among other issues. Optimize the speed of your site and think mobile-first as you build it so that your pages load easily on all mobile devices. This also helps you prepare your store for mcommerce, and offer a better user experience to mobile shoppers. If you have a physical store, you can leverage proximity marketing, which targets consumers who are within a radius of your store through beacons. Beacons are small devices that send out signals via Bluetooth to mobile devices of customers nearby who downloaded your app. Mobile notifications pop up on their devices encouraging them to visit your store. As much as privacy is a big issue today, 88 percent of customers say they’d share their location if what they get in return is something they consider valuable. For brands, this means offering value in form of offers, discounts, in-store coupon codes, and more to drive foot traffic to physical stores and increase sales. Instagram launched Shoppable Instagram Posts sometime in 2017, which allows brands to sell their items and consumers to buy from brands. As more businesses embrace social media (which plays a key role in mcommerce), consumers’ demands also increase. With Instagram and Google, businesses can easily promote their products so you need to leverage on this latest feature, which for Instagram is available in about 46 countries. Upgrade your mcommerce strategy in 2019 using shoppable tags on Instagram. Google, which also offers shoppable tags in Google Ads, knows the level of traffic your store gets from mobile, so it’s bound to do mobile-friendly optimization on your behalf. Mcommerce is a major force in 2019, so no ecommerce retailer should neglect it. Optimize your online store for mobile so as to get ready to provider better experiences for your current and potential customers. One of your priorities, however, should be security and user experience, as you watch your online store grow in terms of engagement, traffic, customer conversions and loyalty, as well as sales. Remember: the user experience first, and make sure your mcommerce strategy is aligned with your plans to offer an Omni-channel experience. Mobile devices account for more than half of all internet traffic. The shift by consumers to using their mobile devices can’t be denied, what with 62 percent of smartphone owners using their gadgets to shop. But why should mobile commerce really matter in 2019? According to Statista, ecommerce sales from mobile in 2017 accounted for 34.5 percent of the overall sales figure, and this statistic is increasing. By 2021, 54 percent of the total ecommerce sales are expected to come from mobile. It is no surprise then that most websites and online stores today are getting more mobile-responsive, and accessible via these devices. This doesn’t necessarily mean your business is mobile-ready. You could still be missing out on huge sales, as only about 12 percent of consumers find mobile shopping convenient. Mcommerce growth will continue being driven by frictionless and ‘shoppable’ creative mobile shopping experiences in 2019. This is because shoppers always want immediacy and a seamless and great mobile experience. Consequently, several trends and changes are expected by brands in the mcommerce space going forward. Here are the top mcommerce trends likely to rule in 2019. Smart personalization Image: ReadWrite With smartphone users already used to getting personalized experiences while on their mobile devices, they expect a similar experience from your online store. A research report by Accenture revealed that companies that personalize mobile experiences are preferred by about 43 percent of consumers. Therefore, brands will have to invest in smart personalization in their mcommerce strategies to ensure consumers enjoy more personalized experiences. These include personalized product offers and recommendations, promotions, and much more. A good place to start is by analyzing their demographics, previous searches, type of mobile devices they use, and other personal data you may find. Personalized experiences increase customer satisfaction ratings, while boosting sales conversions and customer loyalty. 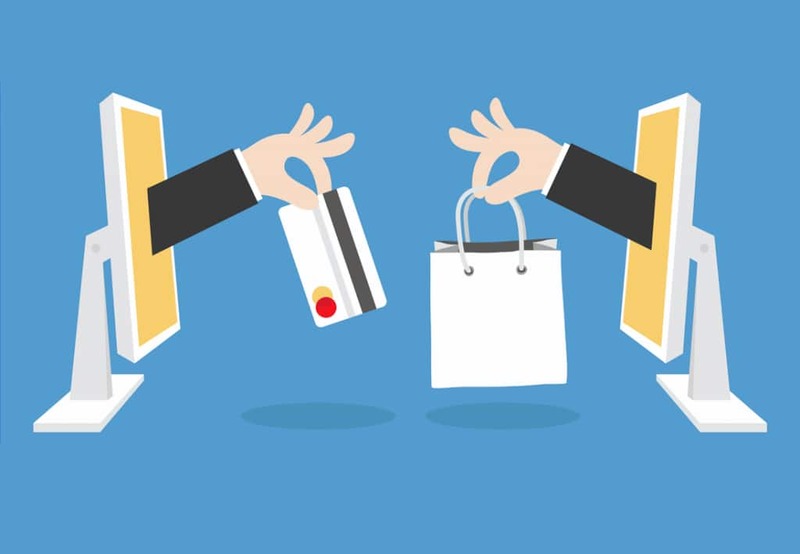 Omni-channel Experiences Image: SalesandOrders A study by Harvard Business Review revealed that only 7 percent of more than 45,000 shoppers were online-only shoppers. 73 percent of the shoppers use multiple channels. This is the Omni-channel mcommerce experience, and it is one of the best techniques for guaranteed growth in 2019. Modern shoppers are looking for seamless experiences across the board – whether its time zones, location, or their reasons for shopping – everything has to be consistent, even branding. Having mobile devices makes it even tougher, because they expect instant gratification. More data shows that 89 percent of customer retention is experienced by companies with strong Omni-channel customer engagement. Omni-channel experiences are a great way of providing seamless experiences across multiple devices as the purchase journey tends to begin from a PC then to a smartphone. Make sure your store is optimized for all devices, with consistent branding across platforms, and personalized content on all channels. Seamless checkout Image: Divante The checkout process can make or break your sales and revenue. If the rate of cart abandonment on your store is high, make sure you streamline the checkout process. This is because most smartphone or mobile device shoppers tend to engage in impulse buying a lot while using their devices, sometimes for fun. To target such users, you need to offer a simple, safe, and seamless checkout process – usually one-click – as this will attract them to your store. Sometimes their attention span gets in the way, so they don’t spend enough time to complete and finalize on their orders. Having a seamless checkout process ensures your cart abandonment rates decrease, and sales conversions increase. Automated Customer Support Most websites today, not just ecommerce stores, have chatbots or online automated customer support services. Recent studies show that by 2020, a whopping 85 percent of all interactions with customers will be handled without human interventions. You need to remember this as you plan your mcommerce strategy in 2019 so as to offer better customer care. Similarly, the speed of your site is important besides automating customer service for mobile device users to be satisfied. Chatbots are one of the main and integral tools being used by most websites for customer support in 2019. Image: Convince and Convert Chatbot technology operates using natural language processing to offer conversational experiences between your brand and consumers. It eliminates all the extra steps customers go through to get to customer support departments, as more consumers prefer chatting services rather than making calls or sending emails. They also offer round-the-clock services, and with artificial intelligence (AI), you can gather more data on your customers and use for analysis. Chatbots are also able to predict customers’ next questions and prepare responses, while offering personalized experiences based on their preferences. Augmented Reality (AR) Image: 9to5Mac Some years back, AR may have sounded lofty, and futuristic. Today, however, it is real and brands are embracing AR to attract consumers, more so in mcommerce and mobile marketing. Through innovative mobile app development, companies can get a slice of this market, and display their products in familiar locations for their consumers. AR-capable apps allow your customers to virtually try out and interact with your products to see how they look, work, and what else they can do with them. It works best for mobile devices, which is why it is a huge trend likely to rule in 2019, so businesses need to prepare to use it so as to stay ahead of the pack. The opportunities for its use in your mcommerce business are unlimited. Crypto Payments Image: Coindesk Not everyone has quite understood how cryptocurrencies work, but brands and consumers alike are slowly getting to know what it can do for them. In 2019, cryptocurrencies, which have dominated online conversations and debates in recent times, has metamorphosed into a payment method that cannot be ignored. Multiple cryptocurrencies are available today that are acceptable for online or offline businesses. For regular mobile shoppers who use cryptocurrencies will want to find these payment methods on your store, like Bitcoin and others. They not only make for faster completion of online transactions, but they’re also the future of payments and will attract new customers, while building loyalty. Supercharged and Optimized Page Load Speeds Image: Think With Google Mobile users want pages to load almost instantaneously the moment they visit your store. It’s either that or they move to the next best site. Slow websites will struggle with low customer satisfaction rates, high bounce rates, and poor sales among other issues. Optimize the speed of your site and think mobile-first as you build it so that your pages load easily on all mobile devices. This also helps you prepare your store for mcommerce, and offer a better user experience to mobile shoppers. Proximity Marketing Image: Frugal Entrepreneur If you have a physical store, you can leverage proximity marketing, which targets consumers who are within a radius of your store through beacons. Beacons are small devices that send out signals via Bluetooth to mobile devices of customers nearby who downloaded your app. Mobile notifications pop up on their devices encouraging them to visit your store. As much as privacy is a big issue today, 88 percent of customers say they’d share their location if what they get in return is something they consider valuable. For brands, this means offering value in form of offers, discounts, in-store coupon codes, and more to drive foot traffic to physical stores and increase sales. Shoppable Tags Image: Instagram Business Instagram launched Shoppable Instagram Posts sometime in 2017, which allows brands to sell their items and consumers to buy from brands. As more businesses embrace social media (which plays a key role in mcommerce), consumers’ demands also increase. With Instagram and Google, businesses can easily promote their products so you need to leverage on this latest feature, which for Instagram is available in about 46 countries. Upgrade your mcommerce strategy in 2019 using shoppable tags on Instagram. Google, which also offers shoppable tags in Google Ads, knows the level of traffic your store gets from mobile, so it’s bound to do mobile-friendly optimization on your behalf. Summary Numbers don’t lie. Mcommerce is a major force in 2019, so no ecommerce retailer should neglect it. Optimize your online store for mobile so as to get ready to provider better experiences for your current and potential customers. One of your priorities, however, should be security and user experience, as you watch your online store grow in terms of engagement, traffic, customer conversions and loyalty, as well as sales. Remember: the user experience first, and make sure your mcommerce strategy is aligned with your plans to offer an Omni-channel experience. In the world of internet marketing, pay per click ads is by far the most used types of advertising among internet marketers. It encourages people to advertise for you and it's also one of the best types of ads available that produces a lot of targeted traffic. Facebook offers Facebook Ads as a competition to Google AdWords. This particular feature offered by this very popular social networking website is a pay per click advertisement made available for Facebook users. When you are going to use this feature offered by Facebook Ads, you might want to know how to create an appealing one in order to get someone to click on it. The idea of a great Facebook Ads advertisement is that you need to create something catchy and flashy that it will be able to grab people's attention. You have to remember that no one wants to click on advertising on the internet unless it truly catches their attention. Also, you need to remember that when people log on to Facebook, they will just be interested in checking out what's new or what's happening with their network of friends. They will be interested in socializing with other people. Besides, that's what Facebook is designed for. 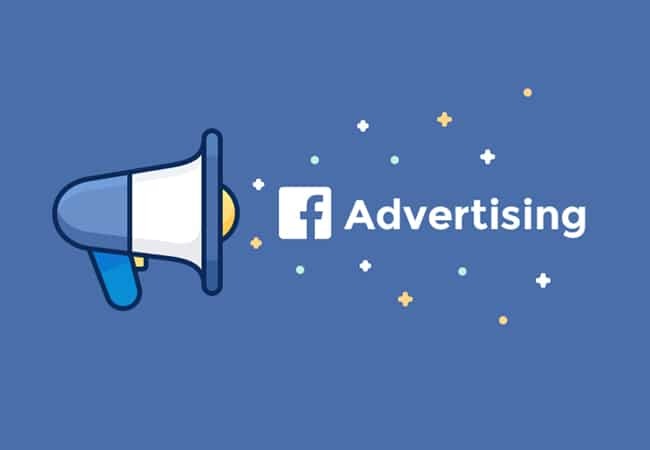 Now, when it comes to creating an advertisement in Facebook Ads, your job is to take away people's fixed intention when they visit Facebook and make them spend a little time to take a look at your advertisement and click on it. Creating a good pay per click advertising on Facebook Ads is easy. You just need a bit of creativity. For example: If you are trying to sell your iPhone or any kind of electronic devices that people would definitely love to have, you might want to try advertising "Want an iPhone at a cheap price?". For this kind of example, you might want to consider specifying your target customers to be people in college or people between the ages of 18 to 25. You have to remember that kids today are crazy about cheap and cool electronic gadgets. You can also upload a photo of the iPhone. This will add to the effect and will surely attract more potential buyers. You have to remember that you more likely will be able to catch people's attention on a visual advertising rather on text advertising. Your selling point should also be strong. Don't just tell people to check out what you have to offer, you need to give them a reason why they should check out what you have to offer. You need to get into your target customer's mind and find out what they need and what they really want. Try putting yourself in their shoes and you will be able to find out how you can attract their attention. These are just some of the tips that you should know about Facebook Ads marketing. By keeping these tips in mind and by applying it to your Facebook Ads advertisement, you can be sure that you will be able to successfully sell what you have to offer. Through ads like these, people will surely want to buy stuff from you. So, the next time you plan on marketing on Facebook Ads, you might want to keep these tips in mind. For sure, you will see that it will be able to help you out a lot. If you need someone to create and update your ads, hire us for your successful campaigns. Tell us more about your campaign on the following link: Request a Free Quote! Anyone who has been marketing online knows that the lifeblood of a business is the traffic of a site. More visitors equal more sales. However, here are some ways that you can tweak sites with to improve your sales without the need to get more visitors. Personal touch The first method is to weave in your personal touch in your sales message. Nobody wants to be sold to by a total stranger, but many people will buy what their close friends recommend to them. If you can convince your audience that you are a personal friend who has their best interest at heart, they will be convinced to buy your products. Remember to speak to an individual in your sales letter, not to your whole audience. Publish testimonials and comments The second method is to publish testimonials and comments from your customers. A good idea would be to publish both good and bad comments; that way prospects will be really convinced that these testimonials are real. When prospects see testimonials on your website, they will have the confidence to buy from you because human beings follow the herd mentality; when others have bought and proven it authentic, they will jump on the bandwagon and buy too. Visual representations Use visual representations for the problems and solutions that your product offers. Not everyone will read your text copy from the head to the tail, but most people will pay attention to images on your website. Quality bonuses Offer quality bonuses to accompany the product. When you offer bonuses that complement your product, your prospects will feel it's a very good deal and it would be stupid to miss it. Be sure to state the monetary value of your bonuses so that people will be even more compelled to grab your good bargain. Ask for the sale! Lastly, ask for the sale! Many people entice their prospects with the benefits of their product, sell to them with stories of how it has solved many problems, even offered killer bonuses but forget to ask for the sale. Give a clear instruction on how to buy your product (e.g. "click the button to buy now!"). If you are still in doubt how to improve sales through your website, hire us to analyze your website and give you guidelines how to improve it. Tell us about your website on the following link: Request a Free Quote! EFORTIS LLC, the provider of this website, is licensed by the Government of Daleware - USA, and regulated by the Daleware Type A - General.